Objective: In 2015, Wienerschnitzel set out to redefine its image and brand itself as a lifestyle company through strategic collaborations, including cause marketing campaigns, that would appeal to the next generation of hot dog lovers. 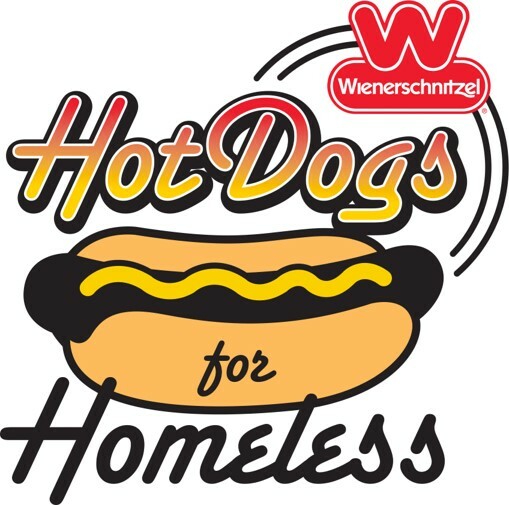 Wienerschnitzel teamed up with Skate For Change, a non-profit organization that encourages youth to give back to the lesser fortunate in their communities, two years in a row for a month-long philanthropic journey called Hot Dogs for Homeless. A Wienerschnitzel-wrapped RV, aptly named the “Wienerbago,” visited cities with heavy homeless populations to lift spirits and provide hot meals. The crew also visited high schools along the way to recruit students to give back to the their communities. 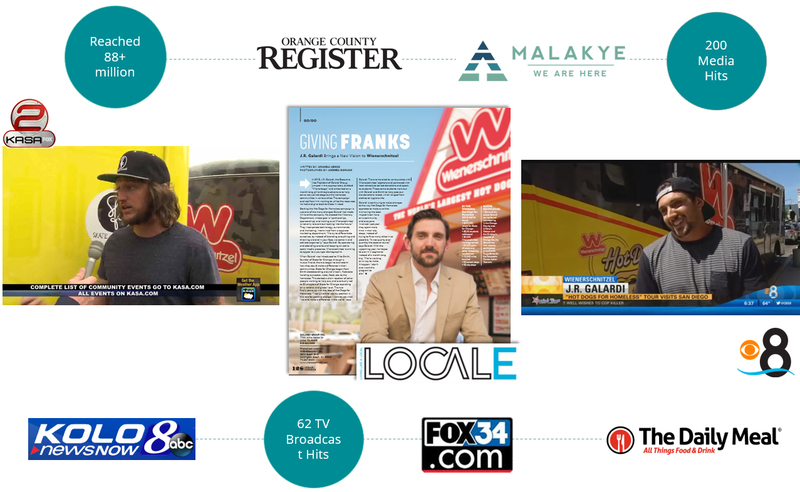 Powerhouse was tasked with garnering coverage on a national and local level that would encourage donations, generate excitement for the brand and evolve consumers’ perceptions about the 55+ year old brand. Challenge: In order for a cause marketing campaign to be successful from a PR standpoint, the effort must be an authentic and convincing representation of corporate responsibility and charitable giving. The campaign should be perceived by the media and the consumer as a winning proposition for the nonprofit partner, the community and the business. The story was there: a cross country RV tour to help feed and clothe the homeless, enlisting the help of high school-aged volunteers. It was Powerhouse’s responsibility to deliver the message in a way that would align with the brand’s desire to do good, celebrate its heritage, as well as make a lasting impression among a younger crowd. Solution: Powerhouse began by helping to craft the brand’s message, identifying potential media opportunities and developing press materials, including press releases, pitches, media alerts, and an informational web-based slide deck. To build buzz and maximize the opportunities available, Agency conducted a tiered media relations campaign in which outreach was conducted before, during and after the tour. Results: For both tours, Powerhouse secured exposure amongst millions of potential consumers in both national and regional outlets before, during and following the tour. In two years, the brand successfully helped add new Skate For Change chapters at high schools in Wienerschnitzel markets and raise $270 million for the non-profit.